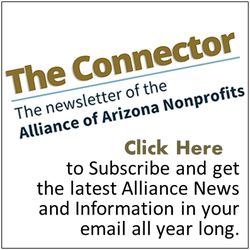 More than 1.5 million nonprofit organizations are now registered in the U.S. alone. In this crowded and competitive landscape, it’s more challenging — and more important — than ever before to build and maintain a strong, compelling nonprofit brand in order to stand out in the marketplace and connect with broader audiences. For a long time, “branding” was considered a dirty word in the nonprofit sector, where the concept had always been associated with the for-profit corporate business model. Nonprofit leaders focused on building solid program platforms rather than building a brand. Though the idea no longer carries the same stigma, it can still be easy for mission-oriented nonprofit leaders to overlook or dismiss something as seemingly cosmetic as branding strategies. However, doing so is a missed opportunity to drive your organization’s performance and build more meaningful relationships with donors. Take a moment to think about your nonprofit’s branding strategy. Has the mission of your organization evolved? Are you in the midst of a transition period, new leadership, a shift in focus, or dramatic growth? Does your brand simply feel old and outdated? If you answered “yes,” to any one of those questions, it might be time to consider rebranding your nonprofit. Successful rebranding begins with the often-difficult process of conducting a thorough self-assessment. This means doing your research and taking a cold, hard look at how others perceive your brand and where you stand right now. Conversations with both internal and external stakeholders — everyone from employees to board members to donors to corporate partners — is a good place to start. Ask questions to solicit honest feedback about the impressions and beliefs stakeholders hold about your nonprofit: How and why did they become interested in your organization? How would they describe your purpose and values? If they could only communicate one message about your nonprofit, what would it be? Gathering this important research can help illuminate gaps between existing perceptions of your brand and the ones you desire, or it can reveal that you’re not accurately communicating the nature of your work. Consider the discoveries made in our early rebranding process: American Humane was founded in 1877 with the mission of protecting both children and animals — dual values both reflected in our messaging prior to the rebranding. However, after clinching major legislative victories on behalf of children (such as the ban on child labor) in the twentieth century, American Humane started gradually shifting our focus to a growing portfolio of animal welfare issues. Also, the use of the word “humane” had evolved over the century to mean animal-centric, instead of the broader nineteenth-century definition of the welfare for the voiceless. It was clear the values of our organization had evolved over the last 140 years (go figure), but our branding had failed to keep up with our modern identity. These insights led us to refresh our programming with a renewed singular commitment to protecting animal welfare. Feedback from stakeholders isn’t sufficient for a comprehensive brand audit: You must also take a frank look at how your nonprofit stacks up against the competition. Are you effectively distinguishing yourself in the crowded nonprofit landscape? How does your performance compare to that of your competitors according to important metrics, such as earned media coverage, independent charity rankings, web traffic and name recognition? A clear understanding of your position in the marketplace is essential in developing a competitive branding strategy that helps your nonprofit cut through the noise. Through a brand wheel exercise, we discovered our brand essence. American Humane’s rebranding included the introduction of a new slogan, “First to Serve,” emphasizing our legacy of leadership as the country’s first national humane organization. Recalibrating our branding with a focus on this distinctive feature of our unique identity more clearly differentiates American Humane in the saturated welfare space. After conducting extensive research to gain a clear understanding of your existing brand image, you’re ready for the last and most important step in establishing a strong framework for a successful rebranding: Introspection. The efficacy of your rebranding depends on your willingness to reflect on both where your nonprofit has been and where you want it to go. In other words, you must have a clear understanding of who you are and the unique value your nonprofit offers. That’s why to develop a truly compelling, authentic brand that resonates with your audience, you must take the time to examine and rediscover the core values -- the heart and soul -- of your nonprofit. A branding wheel exercise can be most helpful for this introspective phase.Branding is critical for nonprofit leaders today. Take time to start the branding effort today, and you will be delighted with the results.